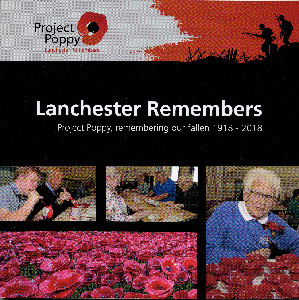 A new book Lanchester Remembers - Project Poppy, remembering our fallen 1918-2018 has been published to coincide with the re-dedication of the War Memorial on the Village Green and the Poppy Project in the village November 2018. The book includes the stories of the men and women on Lanchester, Malton and Knitsley memorials. Price £5 plus £2 post and packing.